completely airtight. 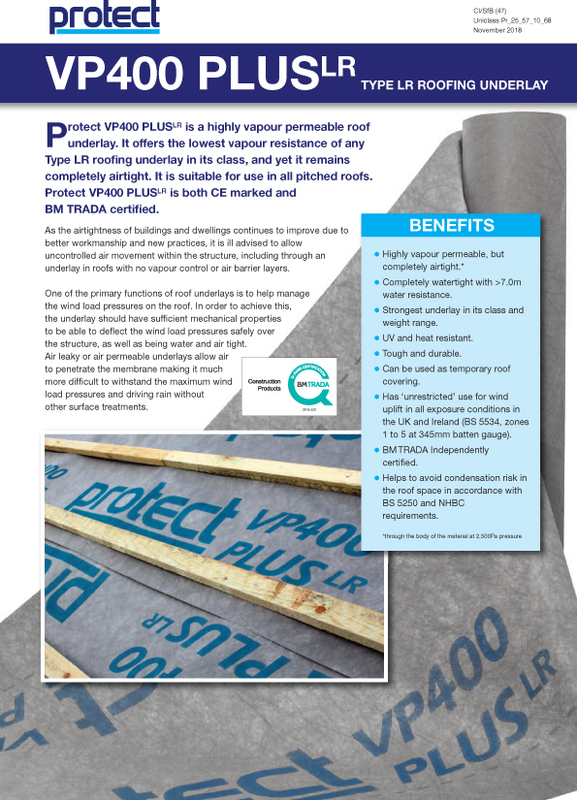 It is suitable for use in all pitched roofs. Protect VP400 PLUSLR is both CE marked and BM TRADA certified. I agree to let Protect Membranes contact me from time to time in regards to the Protect Membranes VP400 PLUS brochure and related products.